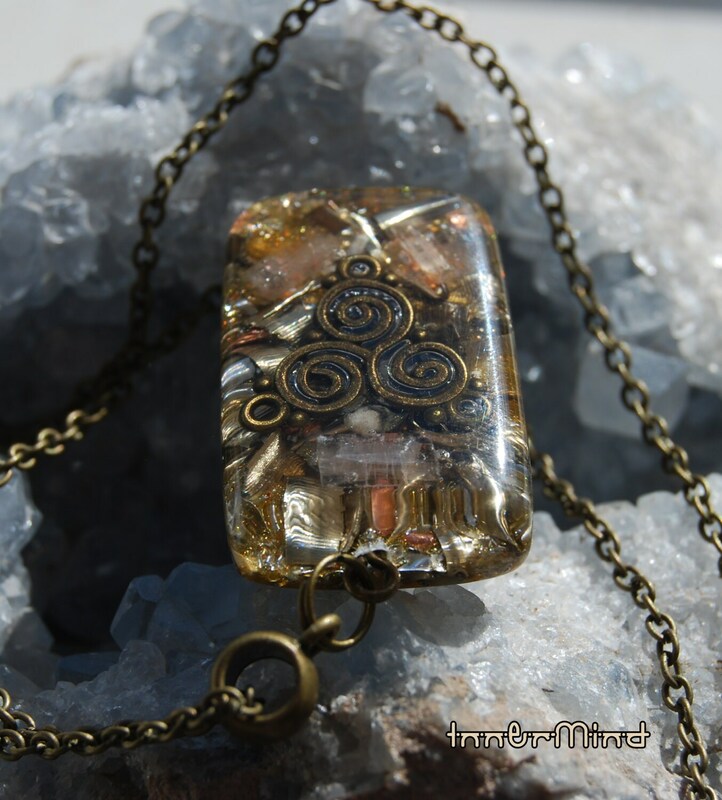 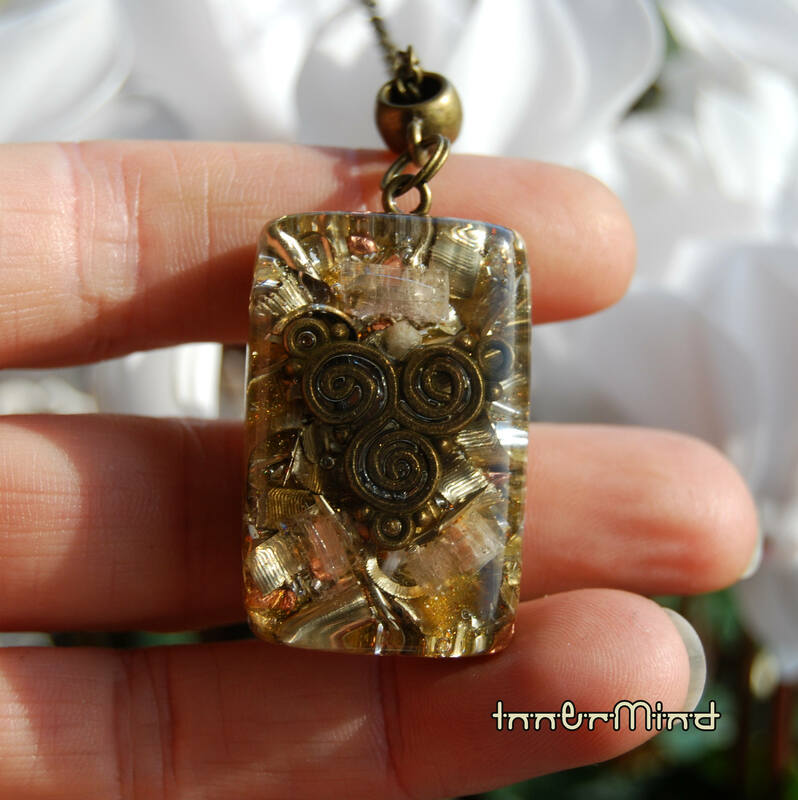 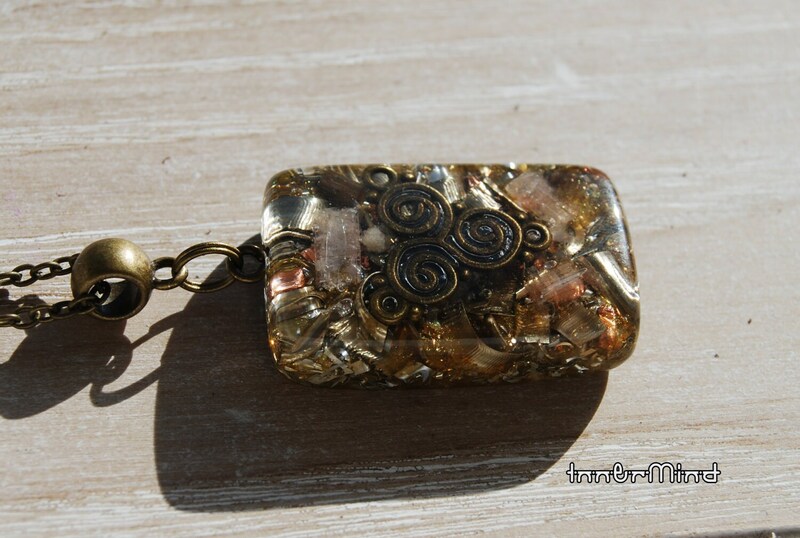 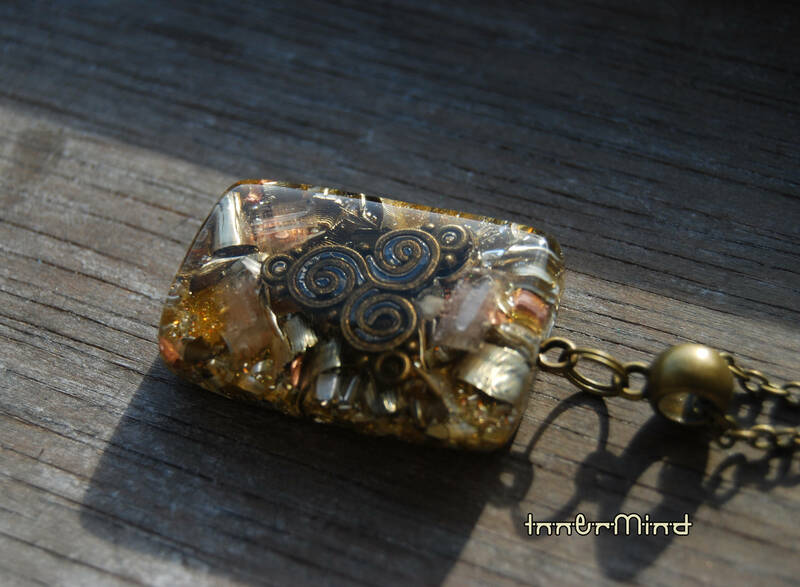 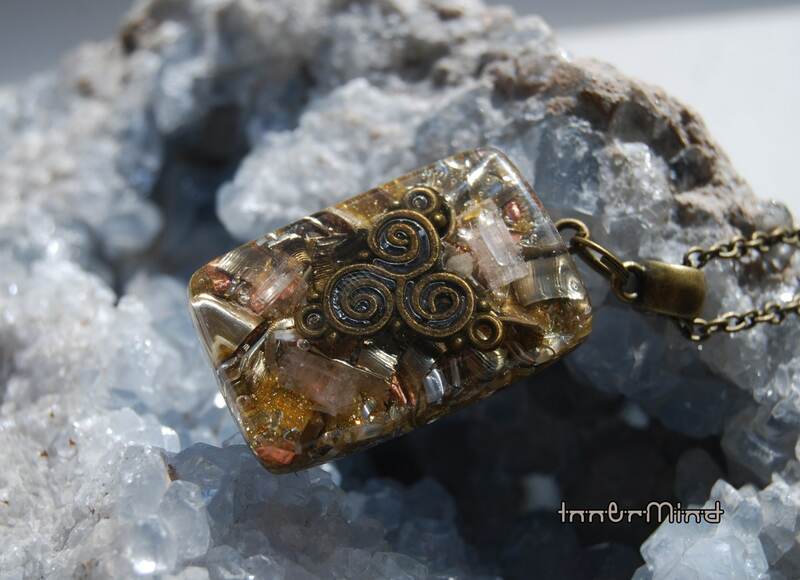 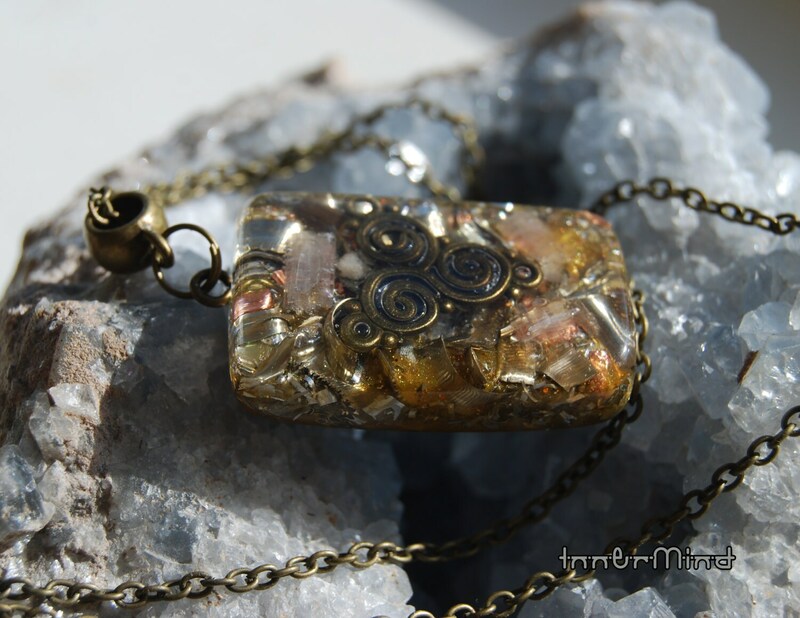 This lovely pendant contains aluminium, brass and copper shavings, Chevron Amethyst, light pink Tourmaline, Rhodizite, Pyrite, Selenite and a clear quartz point all within a durable resin setting. 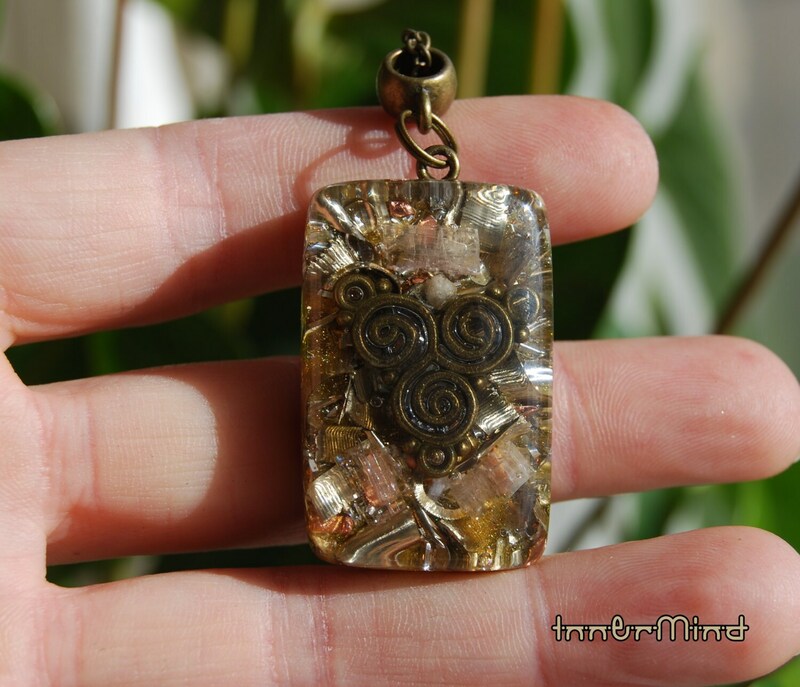 ..:: Rock Crystal / Clear Quartz ::.. 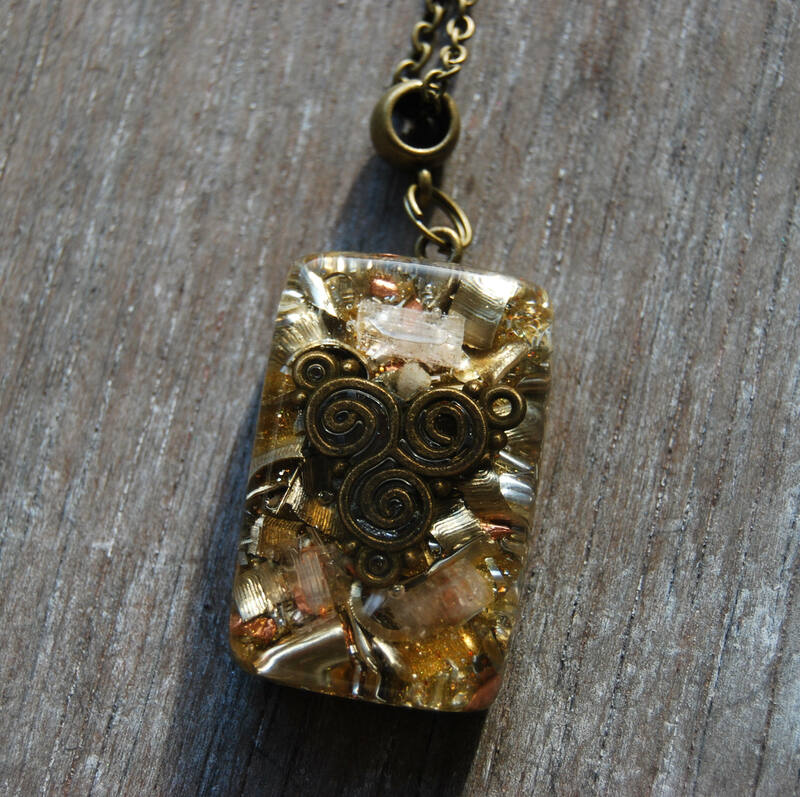 It comes on a 20 inches/50 cm bronze nickelfree chain with lobster clasp closing.